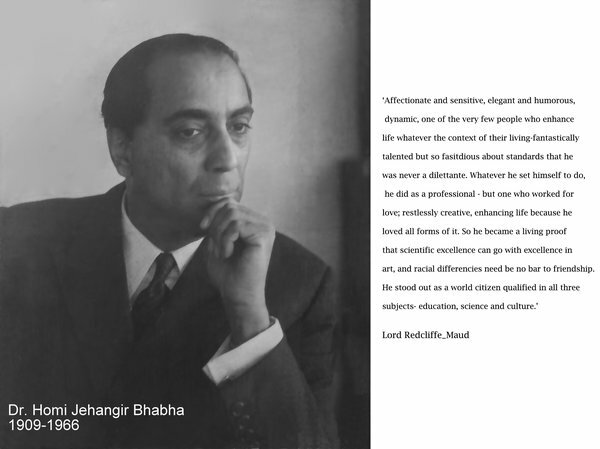 Born on October 30, 1909, Padma Bhushan-awardee Homi J Bhabha was instrumental in convincing then Prime Minister Jawaharlal Nehru to start India’s Nuclear Programme. 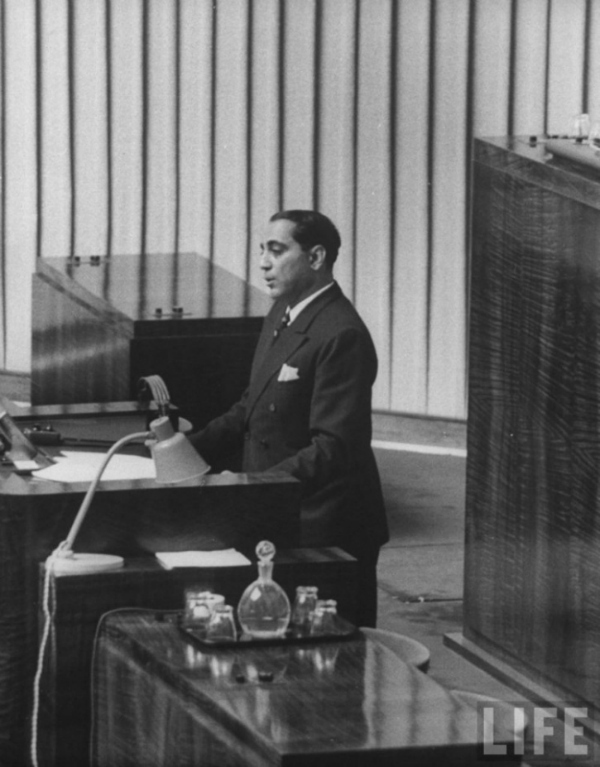 In 1954, Nehru appointed Bhabha as the Director of Atomic Energy Establishment, Trombay (AEET) to develop nuclear weapons. 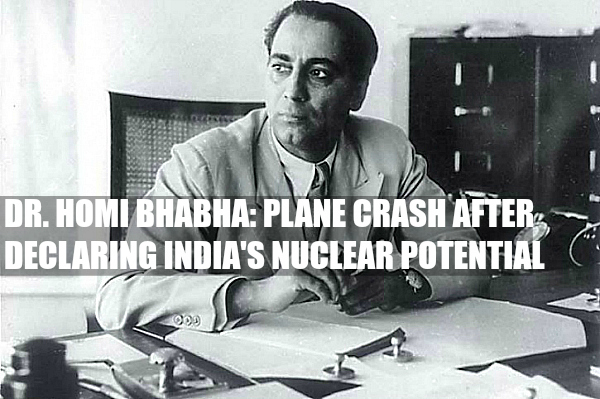 India’s first nuclear test was carried out at Pokhran following Bhabha’s death in a plane crash in 1966.
oday is the 106th birth anniversary of the father of India’s nuclear program, Homi J. Bhabha. Not many know that he had initiated a successful nuclear programme in Great Britain and was in India on vacation. As luck would have it, that’s when World War II began in September 1939 and he was forced to stay back. From the position of “reader” in theoretical physics at the Indian Institute of Science in Bangalore, he was promoted to professor of cosmic ray research. 5 years later, he was chairman of the newly formed Atomic Energy Research Committee, and then became the Atomic Energy Commission chairman. 2. Some of the papers he published are still held in very high esteem even now. 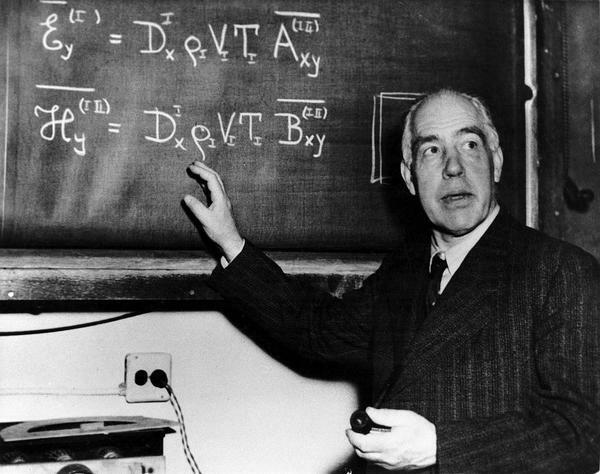 His doctorate in nuclear physics (1933) was on “The Absorption of Cosmic radiation” about absorption features and electron shower production in cosmic rays, winning him the Isaac Newton Studentship in 1934. As a student, he split his time between Cambridge and working with Nobel Prize winner Niels Bohr in Copenhagen, going on to determine the cross section of electron-positron scattering, a phenomenon renamed Bhabha scattering, in his honor. He was instrumental in identifying how India could extract power from its vast thorium reserves, instead of its meagre uranium reserves, an approach never seen before in the world. Don’t picture Sheldon. In his spare time, he dabbled in painting, classical music and opera, and botany. En route Vienna to a meeting of the International Atomic Energy Agency’s Scientific Advisory Committee, he died in a mysterious plane crash. Conspiracy theorists believe the CIA killed him, to paralyse India’s nuclear program of India.